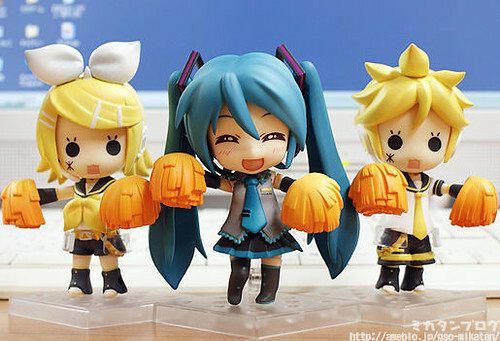 Well, you read the title – Nendoroid Hatsune Miku: Support version will be put on sale at Mikunopolis 2011 booth at the Los Angeles ANIME EXPO. 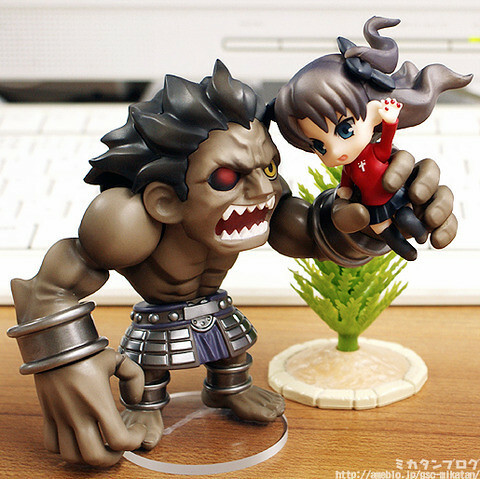 Although the official pricing has not been revealed yet, they did mention that for every sale of the figure, 1000 Yen will be donated to Japanese Red Cross to aid the relief efforts in Eastern Japan. 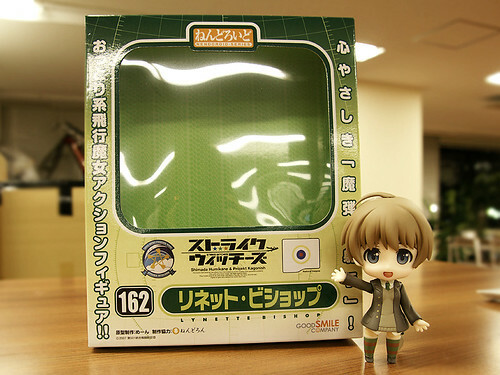 I know that some of you are patiently waiting for a Nendoroid rendetion of Ika Musume. 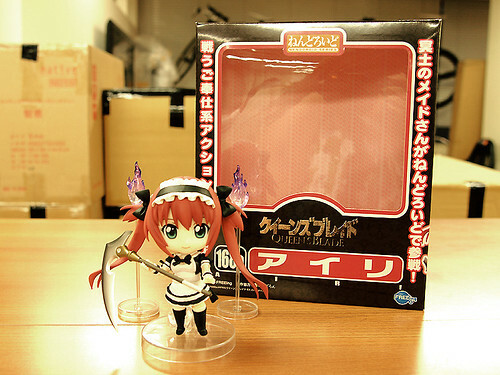 We had been teased by some custom-made Nendoroid of Ika Musume several times previously … and our wait is finally over. 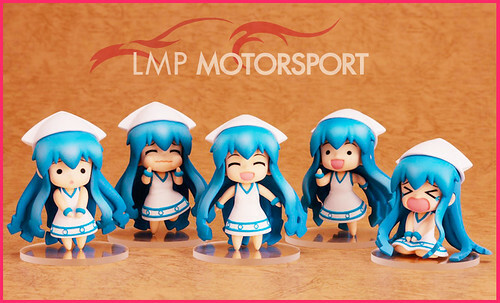 Yep, you can have them soon, as Nendoroid Petit Ika Musume Set has already been announced by LMP Motorsport. 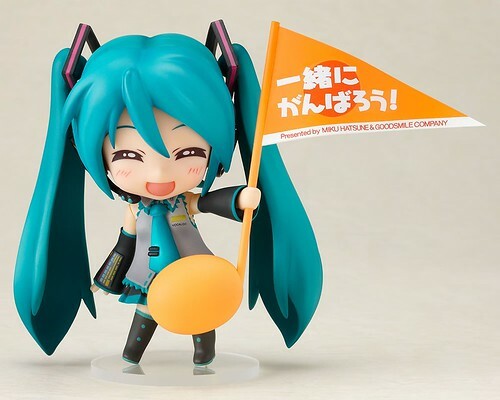 Similar to Good Smile Racing with their BMW-Miku, LMP Motorsport is also participating in the SuperGT series with their Ika-Ferrari. 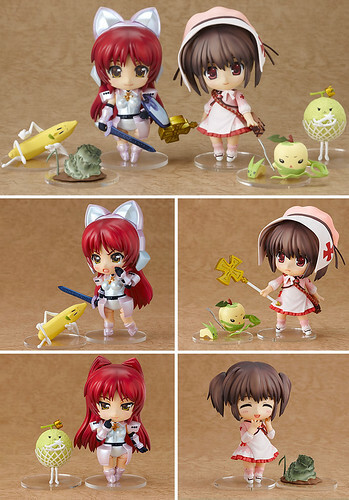 Orders will be taken from 2011/06/28 at 11:00 (JST) until 2011/07/07 at 20:00 (JST). Delivery will be in late November 2011. You can choose payment either Credit card or sending money to PAYPAL account. Your credit card will be charged on order, and not when the product is sent.